Spring is right around the corner! Those of you here in Hilton Head South Carolina are probably looking forward to the mild weather. Because the Spring is relatively forgiving on our HVAC systems, it’s a great time to take a long look at our equipment and perform a thorough inspection before the more challenging weather returns. If you are already thinking about your spring cleaning this year, put your HVAC at the top of your list. 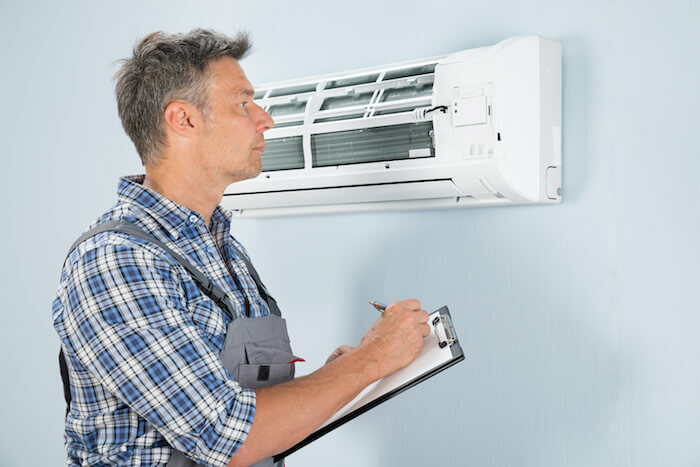 We are going to provide a comprehensive guide to giving your system a thorough inspection and performing simple DIY maintenance to make sure it is ready for trouble-free operation this year. When we think about spring cleaning, we think about putting our best foot forward for the remainder of the upcoming year. 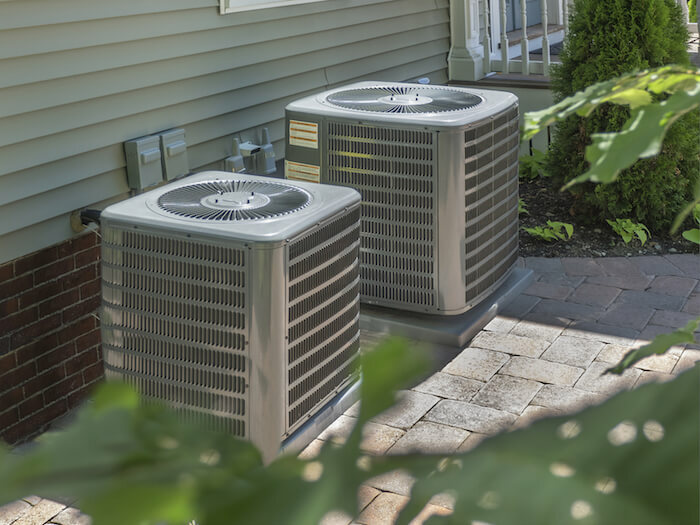 Starting with your HVAC system is a great way to avoid expensive and uncomfortable problems when the weather begins to heat up for the summer. By performing a thorough inspection, we can identify and eliminate potential problems waiting for us down the road. The thermostat is the natural starting point for HVAC inspection and troubleshooting. As a hub for many of the system functions, it’s a critical piece of equipment that is simple to maintain. If you have a battery powered digital thermostat, the first thing we need to look at is the battery life. Thermostat batteries can last up to 2 years on most devices, but it varies by usage and device model. If the battery is low, consider changing it now. Trust me; you don’t want it to stop working in the middle of the summer! You can clean dust and debris from your thermostat with a q-tip, small brush, or canned air (such as keyboard cleaning products). It might seem minor, but it takes seconds and you might be surprised at the damage dust and debris can cause. If your thermostat has a touch-screen, clean it only with products made for cleaning touch-screen devices. Test both the heating and cooling functions of the thermostat to ensure they are working correctly. 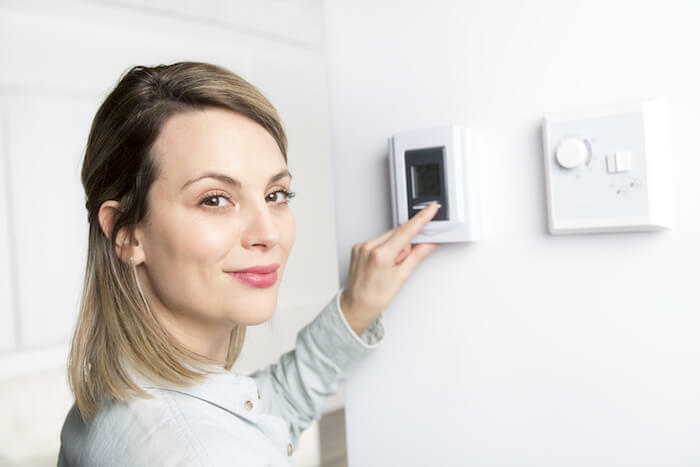 You want to be sure that your system is up to the task of keeping your home comfortable this season. A delayed or non-existent response from the system may indicate more extensive problems. With the thermostat in excellent shape, we are going to head outside and make sure that our outdoor unit is in peak condition. Most HVAC units are a “split system.” This just means some of your components are indoors, and some are outdoors. Outside you’ll find your compressor and blower, usually behind or to the side of the house on a small concrete slab. Before you begin working, turn off the power to the indoor unit and turn off the outdoor unit via its on/off switch. This step is critical for your safety. Debris such as dirt, leaves, and twigs in your outdoor unit can cause significant damage to its components over time. It can also cause other issues by preventing proper drainage and reduced air flow. First, remove any debris in the fan cage, sweep around the unit, and trim back tree-limbs that hang over the equipment. A good rule of thumb is to provide two to three feet of clearance on each side of the unit. Your outdoor unit’s fins are located on the side of the machine and look like a metal grill. Their purpose is to provide airflow and move heat away from the system. If the fins are dirty, clogged, or bent, it will prohibit airflow causing a decrease in system efficiency. Because we have the unit opened up, we can use a hose and sprayer to clean the fins from the inside. If they are exceptionally filthy, consider using a fin spray which you can find at many home improvement and hardware stores. If the fins are bent, we want to try and get them straightened out. You can do this by using a fin comb. Just make sure you have the right size for your unit (measured in fins per inch). Alternatively, next time you have professional maintenance performed, ask the technician to straighten the fins. They will have the right tool for the job. Over time the slab that your outdoor unit is on can shift. An outdoor compressor that is not level can encounter a whole host of issues down the road. With refrigerant and oil not flowing properly through the system, you could be facing some costly repairs at the worst possible time. If the unit is not level, use a few rot-resistant shims to correct the issue or call your local HVAC service provider. With a level unit, clean fins, and a debris-free system, we can Put the fan cage back on. Leave the power off until you’ve completed the full inspection. Your indoor unit consists of a furnace and an evaporator. (Note: if you have a heat pump, you will not have a separate furnace component.) Usually, these elements will be located in your attic, basement, or utility closet. The power should still be turned off, and the AC turned off via the thermostat. The evaporator coil’s purpose is to use refrigerant to remove heat from the air before circulating it through your home, transferring that heat to the outdoor unit. You can access the evaporator coil via the access panel on the air handler unit. Use a socket wrench to remove the screws and panel. With the evaporator coil exposed, you can check to see if it is dirty. If it is plagued by dirt and mold, it will quickly become clogged or frozen during the peak summer temperatures. Cleaning the coil now will prevent an expensive visit from your professional HVAC service provider. To clean the evaporator coil, you should use a spray cleaner made especially for this purpose. Using a no-rinse foam cleaner, you can spray the evaporator coil and wait for it to liquify and rinse itself. In hot weather, the evaporator coil will produce a significant amount of condensate. When the temperature is exceptionally high, it could create multiple gallons of water each day! Naturally, proper drainage is essential to avoiding disaster this summer. Make sure that the evaporator drain is free of dirt, mold, and debris. You can use a shop vac to clear the drain, or in severe cases, there are specialty products that can be used to take care of nasty blockages. With the evaporator coil and drain inspected we can reattach the access panel and move on to our next task. To finish up our HVAC’s Spring cleaning, we are going to make sure that every element of the system we can see through the house is in good shape. Each room of your house should have a vent. If these are dirty, remove them clean with soap and water. Putting this off for too long will restrict airflow and have a negative impact on your system’s efficiency. With the vent removed we can inspect the air ducts. Using a flashlight, check for any debris and clear it if possible. Regularly changing your air filters (or cleaning them if they are reusable) is the easiest and most affordable way to increase your energy efficiency and prevent common problems. Filters should be changed a minimum of every 90 days depending on the type. If you have pets, we recommend that you change your filters every 30 days due to the accumulation of pet hair. Additionally, if you suffer from allergies, changing your filters more often will help relieve some of your symptoms. Now we’ve given our thermostat, indoor, and outdoor equipment a thorough inspection and performed some simple preventative maintenance. All we have left to do is turn everything back on and look forward to efficient and hassle-free operation this summer. Spring and autumn, right before the more severe weather begins, is the best time to inspect your unit. Being proactive is the number one way to ensure that your system is running at peak efficiency. You’ll save money every month, and prevent expensive and untimely problems. If you see anything that you are unsure about or concerns you, feel free to give us a call. We would be more than happy to answer any questions you have about your unit or send a technician to provide a full diagnostic of your system.